The world record for the most countries visited in 24 hours was broken at the weekend, by car (mostly), in Europe. Also, a fixed link between Italy and Sicily is back on the cards. There was a rash of unfortunate incidents at the weekend, on ferries to Italy and Sweden, and mountain roads in Bulgaria and Switzerland. World record for ‘most countries visited in one day’ broken. Congratulations. The same team that equalled the world record for the most number of countries visited in 24 hours back in May – seventeen – beat it at their second attempt this weekend. Gunnar Garfors, Tay-young Pak and Oystein Djupvik, all from Norway, drove through 19 countries, starting in Greece and ending in Liechtenstein, between midnight Saturday and midnight Sunday. The trip included two flights, Skopje-Belgrade and Vienna-Dusseldorf, but was mostly on the road. In chronological order: Greece, Bulgaria, Macedonia, Kosovo, Serbia, Croatia, Bosnia, Slovenia, Austria, Hungary, Slovakia, Czech Republic, Germany, Netherlands, Belgium, Luxembourg, France, Switzerland, Liechtenstein. After beating the previous record in 21.5 hours, the nineteenth country was wrapped up this time with 30 minutes to spare. With a couple of Balkan countries not included, does it mean there is scope for this record to be broken? Gunnar Garfors has form as a world record traveller. In 2012 he visited five countries on five continents in one day. In 2013 he became the world’s youngest hobby traveller after visiting every country in the world. A book of his exploits ‘198’ has just been published in Norway. The English edition is scheduled for release next year. For more on the world record challenge, including the tracking map, see garfors.com. 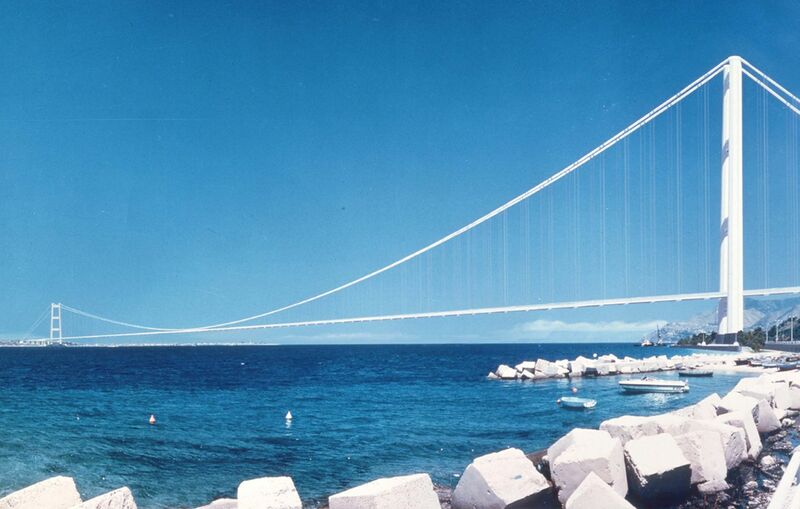 Ponte Stretto: a bridge across the Strait of Messina, linking Sicily and the Italian mainland permanently for the first time, is back on the agenda after the original project was cancelled during the financial crisis. The boss of construction company Salini Impreglio tells ANSA he has discussed it with PM Matteo Renzi and even promised to forgo the cancellation fee due from the last time. Renzi is likely to be open to the idea as part of his ‘Sblocca Italia’ initiative to revive stalled infrastructure projects. Construction is likely to take six years. The route is currently served by high frequency ro-ro ferry between Messina and Villa San Giovanni. The crossing takes twenty minutes with return tickets including car costing €37-73. roundup: WEEKEND NEWS. Two people were injured when the Denmark-Sweden, Helsingor-Helsingborg ferry crashed into the pier on the Swedish side last night. The Captain managed to warn passengers in time. Pictures show a substantial gash at the front of the boat. Meanwhile, the Minoan Lines Greece-Italy, Patras-Ancona ferry ran aground briefly near Corfu yesterday afternoon. All 692 passengers were safely evacuated. Early on Sunday morning, a bus overturned on Bulgaria’s Hainboaz Pass – the Pass of the Republic – route 55 between Veliko Tarnovo and Gurkovo in the centre of the country. One woman died and two people were injured. The driver is said to have lost control in the wet. Finally, a British man died on the H28 Fluela Pass in east Switzerland on Saturday night according to thelocal.ch. The man, one of a pair on biker tour of European, crashed in the Chant Sura area towards the eastern end of the pass.